Developed by Tridium, Inc, Sedona is an open-source software environment designed to make it easy to build smart, networked, embedded devices which are well suited for implementing control applications. The Sedona language facilitates component-oriented programming where components are assembled onto a wire sheet, configured and interconnected, to create applications. Sedona was made available to the public under an Academic Free License (AFL 3.0) granted by the licensor—Tridium, Inc. A licensee was allowed worldwide, royalty-free and non-exclusive use of the technology. If you are already familiar with Niagara, you need no new tools or skills to handle, commission or program Sedona devices. The standard Tridium WorkplaceAX (or Honeywell CoachAX, Distech EC-netAX, TAC I/A Enterprise Network Server, JENEsys ProbuilderAX or compatible) software can be used. Workflow is extremely similar - components, property sheets, wire sheets, linking etc. 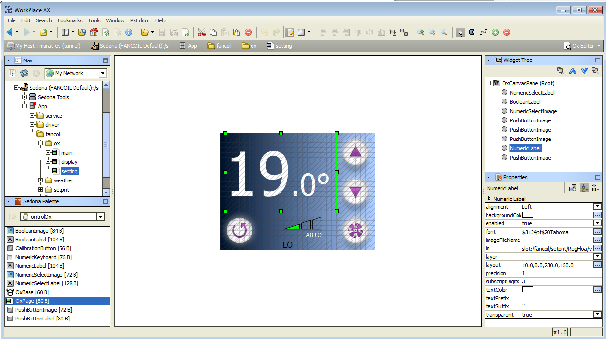 Even the graphic pages on our touch-screen Sedona controller, RION are designed like a px page using the very same tool, using similar procedures, with the familiar look and feel. Sedona devices are freely-programmable. The basic Sedona package provides the systems integrator with an extensive library of control components, including a rich set of logic and maths functions. Device vendors often provide more targeted function blocks. 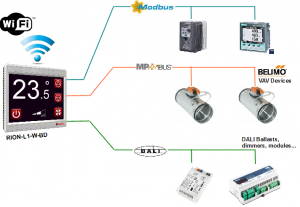 And yes, it allows systems integrators to build their own custom components and libraries (kits). In today's world, no other building comms technology is easier to trouble-shoot than IP. So it is a huge advantage that Sedona is based on IP and that most Sedona devices are directly IP capable. The advantages, of course, go well beyond trouble-shooting. For example, Sedona devices would be able to connect directly to he cloud and be remotely accessible. Most Sedona devices support multiple protocols over IP. 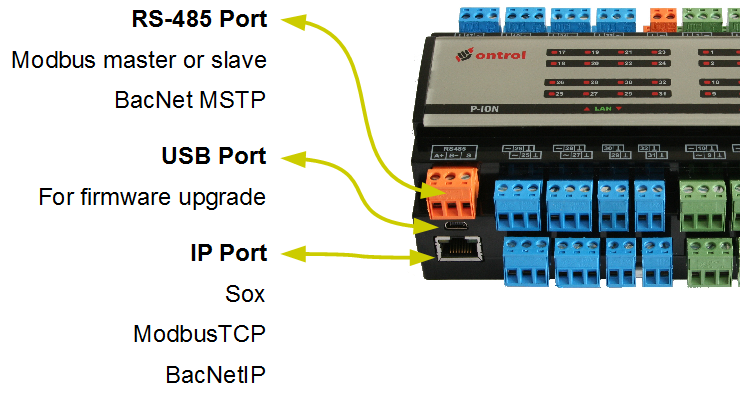 Sox is the basic Sedona communications protocol, but many vendors (including Ontrol) also build in additional protocols such as BACnet IP, or ModbusTCP that can be used simultaneously. Sedona devices tie into Niagara systems effortlessly. Both device and point discovery are available. Niagara hosts (a Jace, or supervisor software) are able to discover every component and every property of the application in the Sedona device.